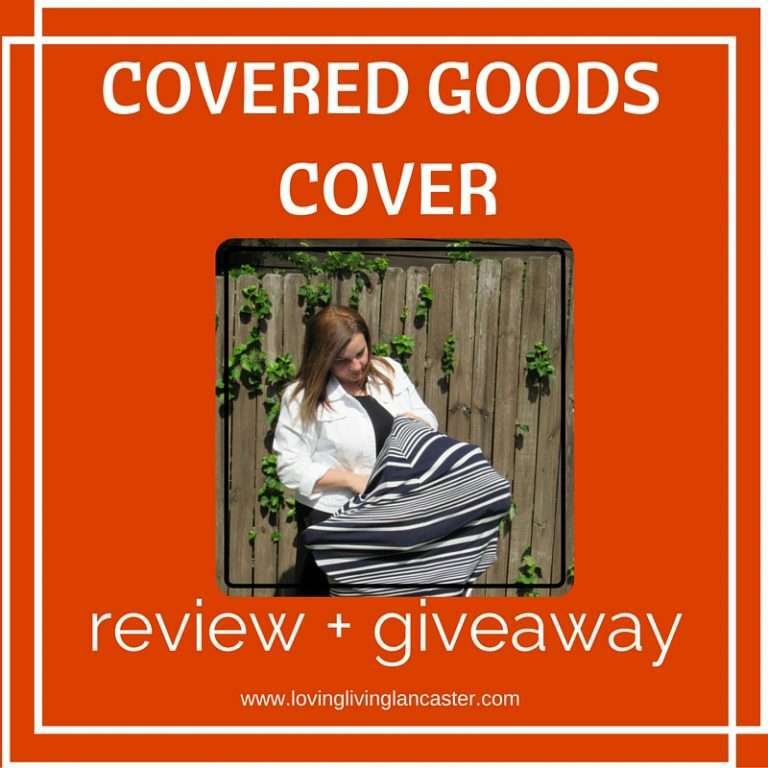 Covered Goods Nursing Cover Review + Giveaway! What mom doesn’t need one simple fix to make her life easier? Well guys, here it is! Scroll below for more information AND a giveaway! Ya’ll, I am so excited to share my review of the Covered Goods Nursing Cover today! I seriously wish I had known about this product 4 months ago, when our little one arrived! First, can I brag on their customer service for a moment? After corresponding with them, they sent our my cover within a day. Seriously guys, who else provides that kind of customer service? They sent me tracking information and the cover arrived two days later. Not to mention, Jamie Yetter, the mom of four, behind Covered Goods, understands what it means to be a nursing, multi-tasking mom. She gets it. She understands that having a million things to haul around is just ridiculous for moms. So she decided to make our lives as moms, a lot easier. I am a modest person. I am a shy person. So, the idea of nursing my little one in public, even in the car, terrified me at first. My Covered Goods nursing cover fixed that! I have another nursing cover that is much like, well, an apron. It is annoying and makes me uncomfortable. By the time I get it situated, my little one is just plain mad, clawing at me, pulling the cover away…it’s a sight to see, I’m sure. The Covered Goods nursing cover is so easy, I just slip it over my head, pull it down behind my back and over my little one…and we are good to go. I can see him, I can make sure he is latched properly, and I don’t have to show my world to well, the world. I am one of ‘those’ moms. The ones who try to shield their babies from germs. This thing is a lifesaver. 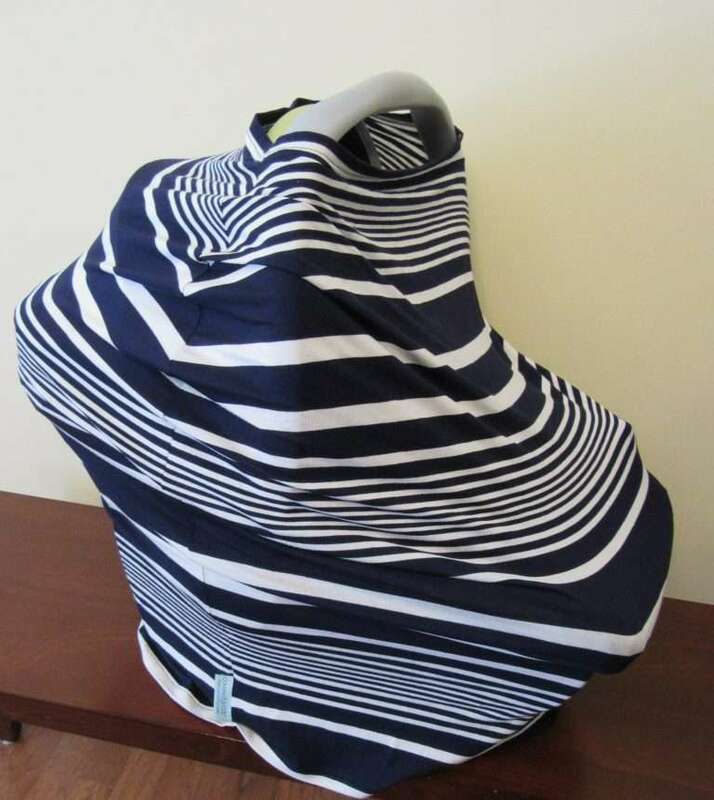 We have a traditional car seat cover for our little one, you know, the kind with two ‘flaps’…but inevitably, one of those flaps falls down and smacks him right in the face, or the velcro that holds it on the car seat slides around and makes it difficult to carry the car seat. It just becomes a hassle. No more! My Covered Goods cover slips right over the car seat, and we are off! I can see him, he can see me, but the entire world can’t touch him (or breathe on him). 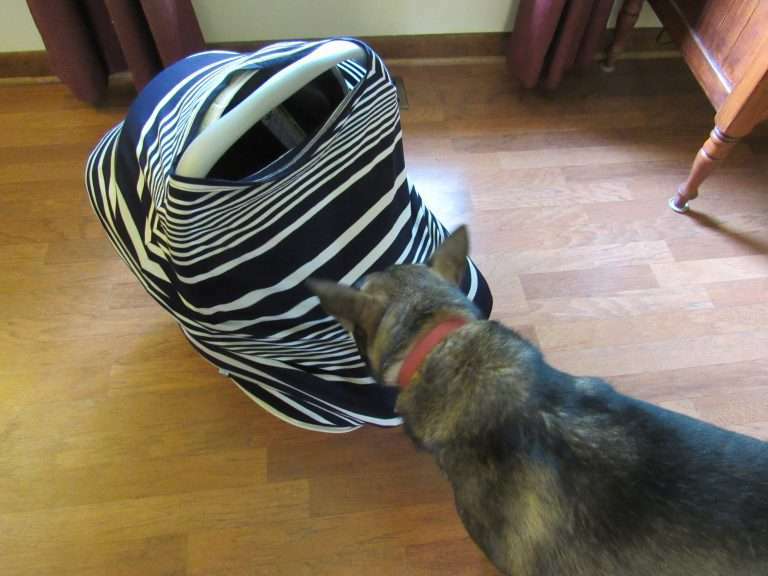 Not only is it a nursing cover and car seat cover, it can be used as a shopping cart cover. I am so excited about that! When our little one is sturdy enough to sit in a shopping cart on his own, I don’t want to have to worry about what he is touching (or sitting in/on). I can just take my cover, pop it in the cart, and know that he is protected from the germs that the kid who was in the cart before him left behind. What else can you use this amazing cover for? Scarf? Yes! Swaddle? Sure! I am taking it to the beach with us next week too, it’s so lightweight that it will be wonderful to lay our little one on in his beach tent. It’s washable, compact and so soft. They have so many adorable prints, too! I really cannot say enough wonderful things about Covered Goods. Want one of your own? Looking for a perfect baby shower gift? I am giving one away to one lucky reader! Click here to visit my Instagram page for entry instructions + sign up for my newsletter (box in the upper right hand corner) for an additional entry. Click here to purchase your Covered Goods cover today! Bella dog even loves my Covered Goods Cover! 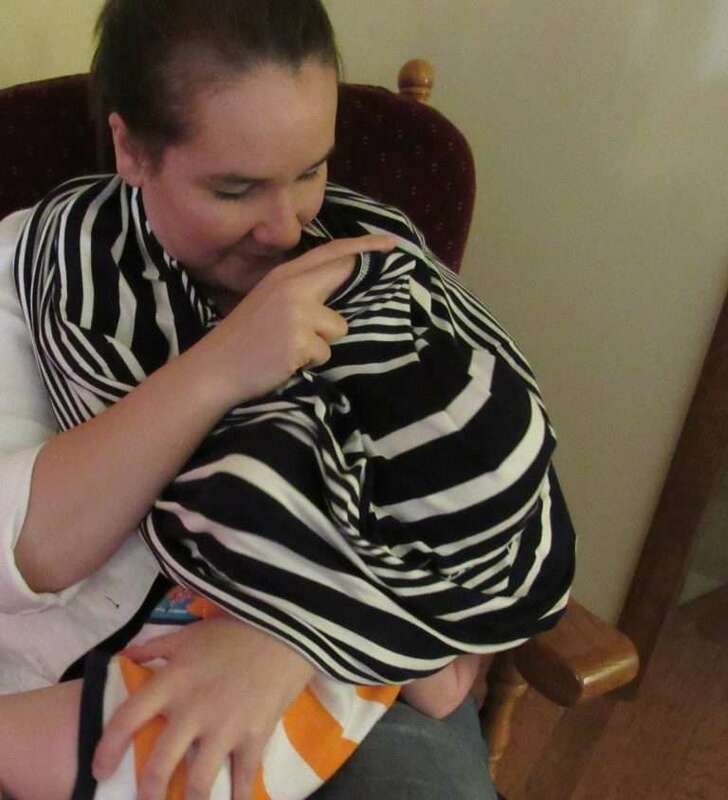 I received a Covered Goods Nursing Cover to review for this post. All views and opinions are mine and expressed in my own words. Glad you found something you are happy with. Sounds like a great cover. This looks like it would be so useful! Awesome review ???? Thank you for your review! We are so happy that you love your cover!!! Thank you for taking the time to read the review! I know my readers will love the giveaway too! Looks comfy for both Moms and baby. I’m sure a lot will join this giveaway. Will definitely recommend to friends! One of the best product for a new parent. And thanks for the giveaway too. This is a great product. My daughter is due in September and I will tell her about this product. Thank you. Sounds great that they have good customer service. That’s a company I want to support. It looks amazing! I would love to have one once I have a baby. I will save this as a Must have! Wow that is a lot of uses for the object. It offers a lot of cover up. I never felt the need to be covered by for someone modest this is a great product. That stretchy cover can really works wonder with its purpose. Good find for a good product. I wish I had this when the girls were smaller. 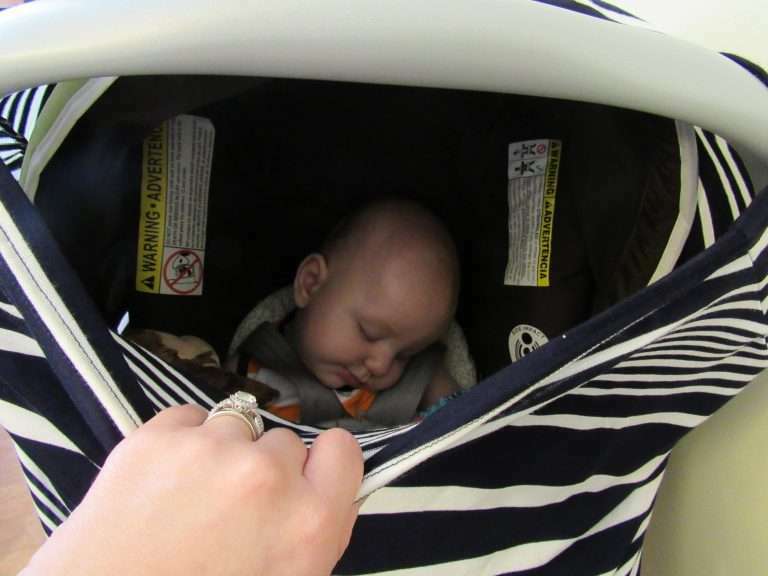 I love that you can use it as cover up when you’re breast feeding or as a cover on their strollers or car seats. That’s really amazing. It’s useful and it’s effective! This post really opened my eyes, I had no idea the sheer amount of uses this product had! Thanks for sharing! Wow, I agree, it looks like a multi-purpose item for real! I wonder if it’s the first of its kind, I might just use it everyday even if it’s just for covering purposes. I think that’s such a great product. I love that it can be used for nursing as well as for the car seat. Such a neat idea to use it for both. I love covered goods! We used them as well and they were great! This looks like a useful product for all new mums out there. Yes-it’s great for that! Make sure to enter the giveaway for her! Best of luck to all the joiners! This looks like such an awesome cover! I love the print! Omg what a cute nursing cover!!! I swear baby gear just keeps getting cuter and cuter! Loved the review!! I have wanted to try covered goods and finally pregnant with my first! !